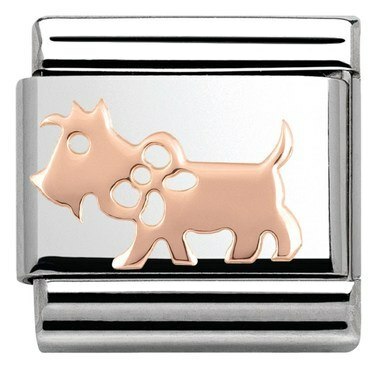 Make some room for your perfect pooch on your Nomination composable bracelet with this sweet charm. Handcrafted in Italy with a stainless steel base, this little rascal has been crafted with 9K rose gold. The sweet openwork bow is the perfect finishing touch for this stylish pooch.